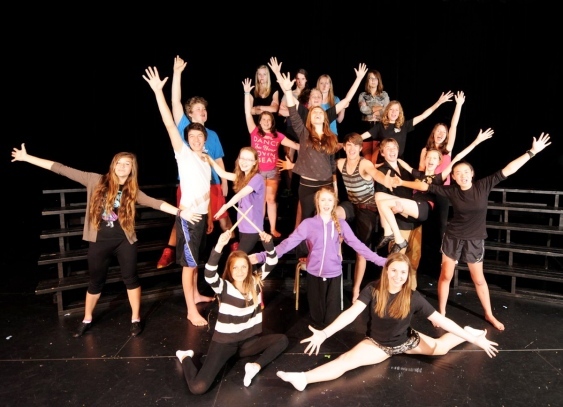 It’s easy to see why the Victoria Youth Musical Theatre Company is staging Fame as its summer production. The stage musical inspired by Alan Parker’s 1980 movie is about a diverse group of students whose passion for showbiz is boundless, after all. When the cast of 20 youths aged 12 to 16 takes to the stage at the Ridge Playhouse tonight through Sunday, it will be a case of life imitating art — minus the backstage jealousy, substance abuse and prejudice, hopefully. That’s putting it mildly. Director-choreographer Tara Britt, musical director Phil Hallman and their youthful cast — all of whom are local, except for one from Pennsylvania and another from Dubai — rehearsed the entire show in just 11 days. “We want to give the kids as professional an experience as possible,” says Hallman, who also produces. It fulfils the company’s mandate — to encourage and educate children and youth through year-round programs and summer camps about musical theatre, while providing a unique showcase to increase self-esteem and build confidence. The show is the result of an intensive two-week session participants enrolled in for a $495 fee. Prewett, who is entering Grade 9 at Reynolds Secondary School, said she loves playing Miss Sheinkopf, the German music teacher. The magnitude of the shows the company stages each year is for a very good reason, Hallman says. Ethan Otto, 14, called the program a great experience. The St. Michaels University School student, who is entering Grade 10, plays Nick Piazza, an ambitious young classical actor at New York’s High School for the Performing Arts who has a thing for shy Serena. His big number is I Want to Make Magic. Otto doesn’t mind that the hours are long — they rehearsed 9 a.m. to 4 p.m. Tuesday, and 1 to 10 p.m. Wednesday, for example. “It’s worth it in the end. The payoff is the show,” says Otto, confessing he hadn’t seen the movie, but might by showtime. Hallman said he looks forward to the summer show’s two production weeks each year, and learns as much as the kids. When: Today to Saturday, 7:30 p.m.; Saturday and Sunday, 2:30 p.m.